Read moreiTunes 11 – It is Here! I have just purchased myself a Nike+ Fuel Band, with the thoughts that it will inspire me to get out and get fit. I will therefore be posting my thoughts on it soon, I have only been rocking with it for a day and half so I will give it a bit of time, for me to use it and see the best ways to work with it, and will get back to you when I have had a good play with it. Nike+ Fuel Band Review Coming Soon! I have four cars in there at the moment and I don’t think there is a way to link to them all at once so I will just do it individually. Feel free to have a look or and a wee read, if you have any questions on the cars I will happily do my best to answer them, and in the unlikely event you don’t know about PistonHeads.com have a look at it, it is a great Car Website with forums full to the throat of knowledgable people. www.discoverybuying.com is one such site that is flooded with replica watches from makes such as Breitling, Rolex, Tissot, Tag….. The thing is these are counterfeit, replica sounds much more innocent than counterfeit, but that’s exactly what they are. Do they though damage the brand name? To be honest I don’t think so. Anyone with the cash and eye for a good genuine watch will not be buying one of these, they will be spending the cash and getting the real thing. The thing that had got me for a long time though was one question, ‘What are these fakes actually like?’ I bit the bullet and paid out the big $$$ to find out. I ordered a Tissot 8007 with the heft price tag of $7.99 delivered! That is so cheap it is hard to believe. The postage alone would almost cost that. The Tissot 8007 doesn’t actually exist, but the Tissot PRC200 does, and it is clearly this model that the replica is based on. iPhone ‘5s’ getting ready for an early launch? 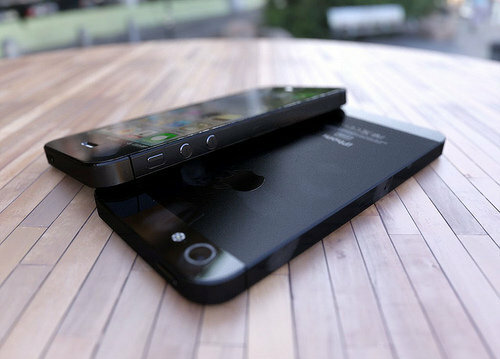 The internet rumour mill is now rife with chatter that the ‘iPhone 5s’ is getting ready for release! The iPhone 5 is still like gold dust in many stores, so is it likely that an 5s will be in development and ready for testing so soon? After the ‘new iPad’, and then the ‘iPad with Retina Display’ I think it is more than possible in fact I’d go as far as saying likely! Read moreiPhone ‘5s’ getting ready for an early launch? Every November now, we are teased and eventually treated with the latest Call of Duty episode. And as a result of this everyone has their own feelings about its release, some will see it as the pinnacle shooter of our generation, and some will see it as the biggest pile of n00b infected glitch ridden trash ever to be released. Although the latter is no doubt exceptionally unfair and more than likely the comments of someone who has found their favourite glitch has since been ironed out, or at their first attempt of 0wning the battlefield became subsequently Pwned! I am a huge fan of the Casio G-Shock range and like all G-Shock wearers sometimes we feel the need for a more formal watch, without losing the grunt that a G-Shock affords. This is where Casio noticed a spot in the market, and hence you have the Casio Edifice range. These watches are huge in Japan, almost a sub culture which started from the G-Shock fraternity. You will find a huge number of G-Shock collectors are equally keen on the Edifice and whilst often ‘cheaper’ in the European market some of the Edifice range can sport a price tag amongst collectors that would make Tag or Rolex wearers raise an eyebrow! This is my first dip into the Edifice world and I have to say I am hugely impressed, this thing is big, heavy, obvious and at the same time, sleek, and tidy. 1. It is a watch, it tells the time! 2. It also tells the date! 3. It has a chronograph. 4. It even tells you the day! Today is the day Apple bring out their small tablet onto the market, and I want one! This is the problem you see, I have a ‘New iPad’ which is also getting binned today for an ‘iPad with Retina Display’ (which mine has anyway) but hoo ha, can I justify an iPad mini. Yes it would be nice to have, but with the Nexus 7 on the market, currently at £199 for a 32Gb model, and a Blackberry Playbook 64Gb sitting at £129 it is a big decision for what will ultimately be a pocket browser, but then surely my iPhone 5 handles that? The market is flooded and tech heads like me are funding it! Time to go and do some research, in Apples favour all my apps will work and it will just slide on nicely with everything else, in Nexus favour I want to give android a go and in Blackberry’s favour I could buy 2 and have 8 (EIGHT!!) times the amount of storage! 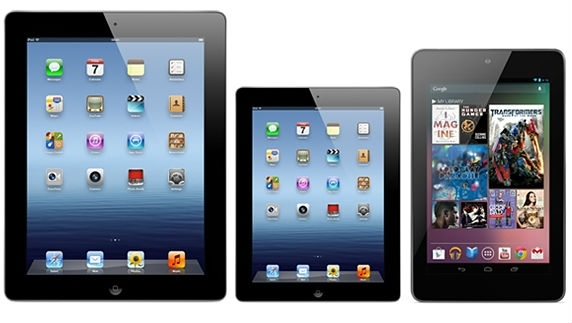 iPad – iPad Mini – Nexus – Who Will It Be?